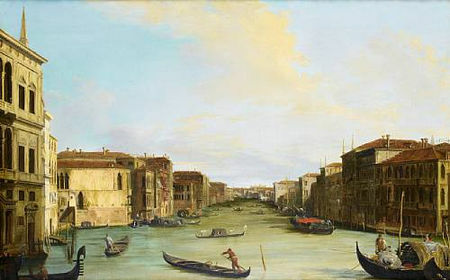 NOTE: The present composition is a variant of that employed by Canaletto which is now in the Accademia Carrara, Bergamo. It was clearly a popular view, given the various autograph versions and the number of works by later imitators, some of which have been attributed to Giuseppe Bernardino Bison (1762-1844). 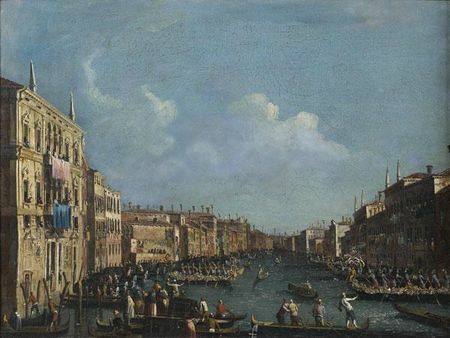 NOTE: The composition of the work is loosely based on Bellotto's view from the same spot, which can now be found in the Galleria Estense, Modena. oil on canvas - 124 x 173.2cm (48 13/16 x 68 3/16in). 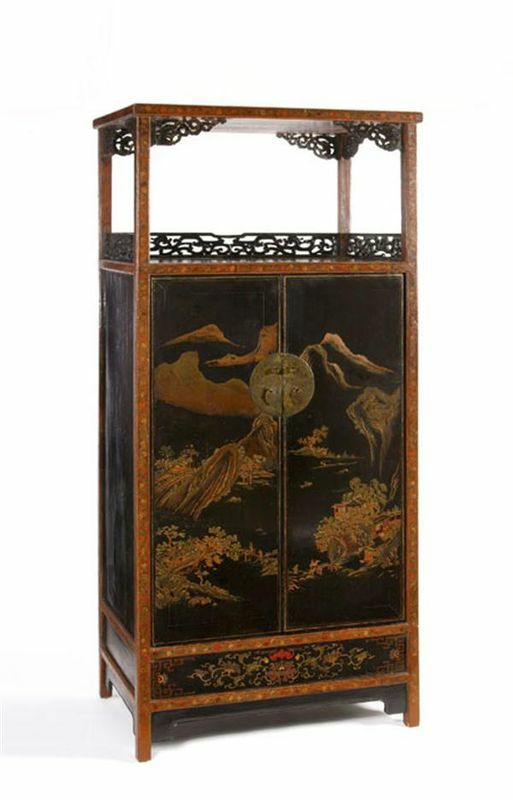 Estimate: £80,000 - 120,000, €89,000 - 130,000 - Unsold. NOTE: Joseph Heintz the Younger was the son of the painter and etcher, Joseph Heintz (Basle 1564-1609 Prague), and served his apprenticeship as a painter under his stepfather, Matthäus Gundelach, in Augsburg between 1617-21. 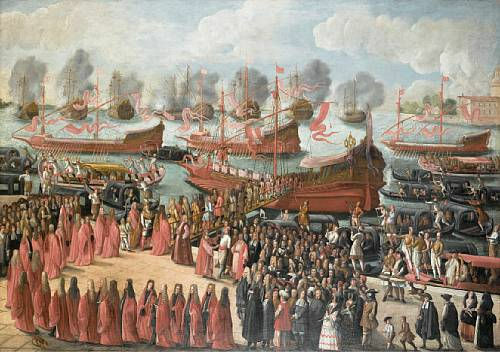 Following the artist's conversion to the Roman Catholic faith, he established himself in Venice. It is thought that Heintz spent time in Rome during the 1630s and early 1640s, finally settling in Venice where in circa 1644 Pope Urban VIII made him a Knight of the Golden Spur. He painted numerous religious works for Venetian churches, but his importance undoubtedly lies in his depiction of Venice's state ceremonies and festivities featuring large numbers of figures, such as the present work. 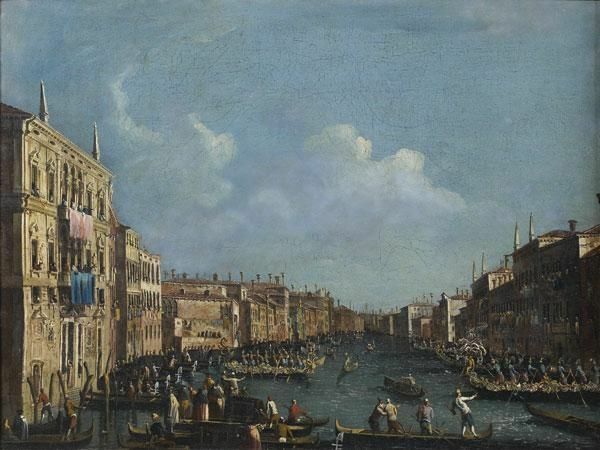 As such he was the precursor of Luca Carlevarijs and Giovanni Antonio Canal, called Canaletto. 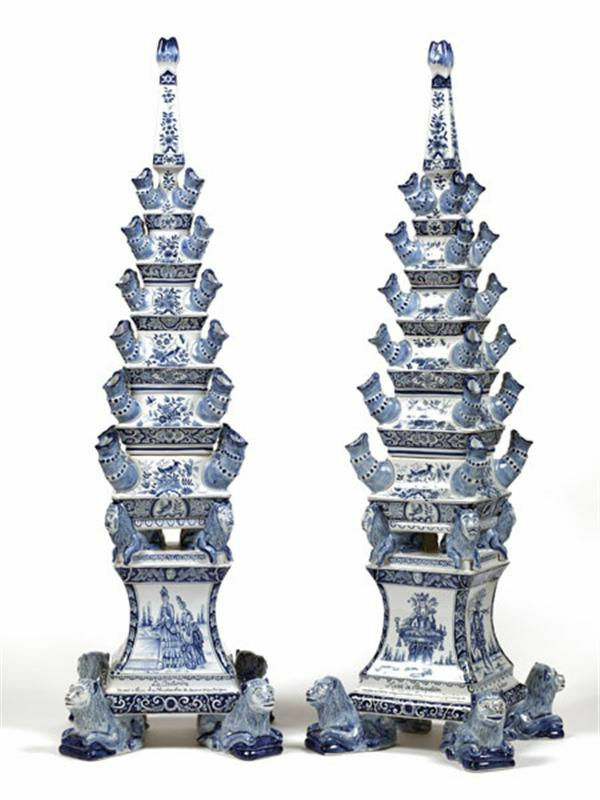 PAIRE DE TULIPIÈRES. STYLE DELFT, CHRISTIAN DIOR.